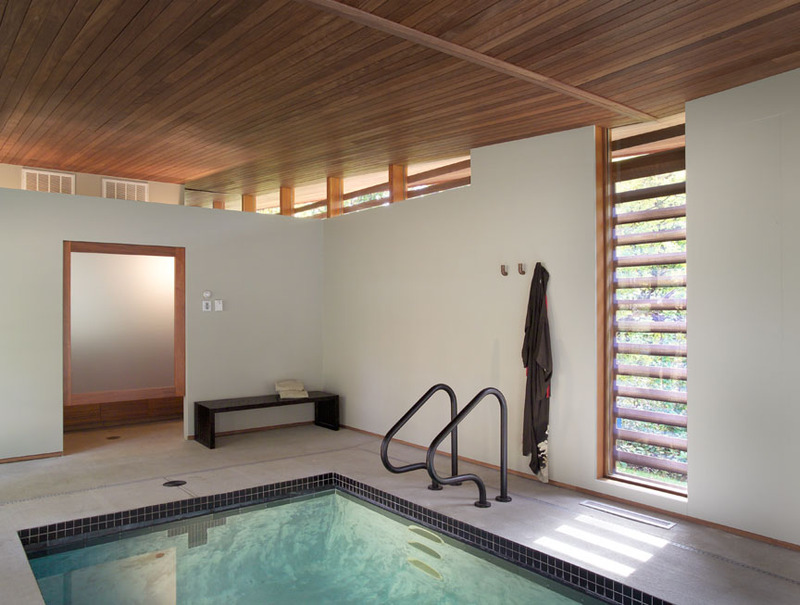 Exposed Douglas Fir studs 4’ OC support a sloping clerestory below a butterfly roof. The line where the two sides of the roof meet is punctuated by a copper scupper, which drains onto a rock garden below. The vertical fixed glass carries the seam down the front of the building, and accentuates the flow of water from the scupper above. 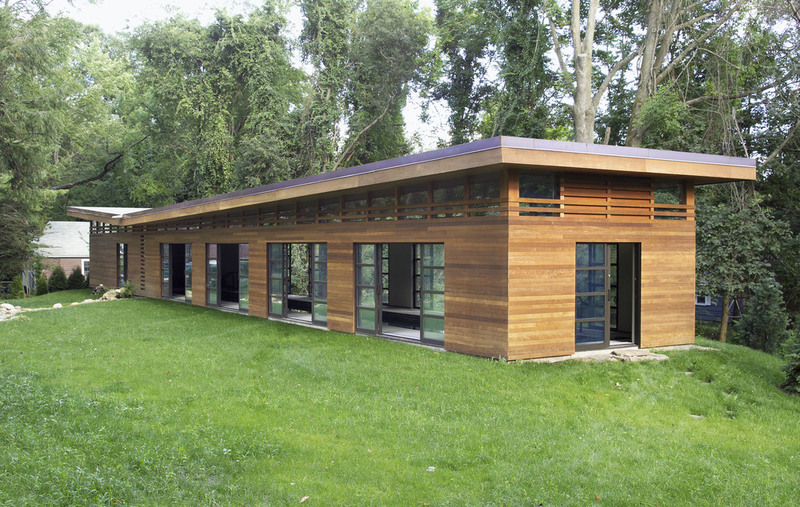 Cambera shiplap siding is set off of face of building as rainscreen, allowing for air circulation. Alternating pieces of siding continues across fixed glass, filtering the light. 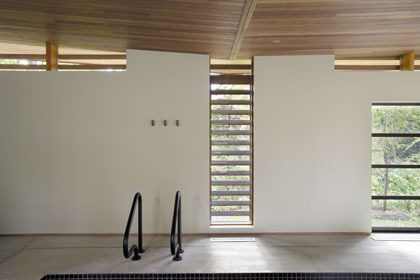 12’ sliding doors along sides of building open to 6’ clear openings; the doors are ‘punched’ into the rainscreen, emphasizing the lack of trim, as does the siding detailing at the corners of the building. 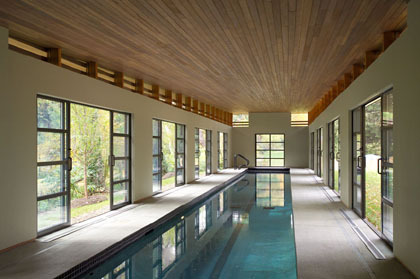 The simple polished concrete floor retains heat from the body of water of the heated pool. Concrete countertops and a faucet made from copper pipe, much like the scupper outside, complete the space. 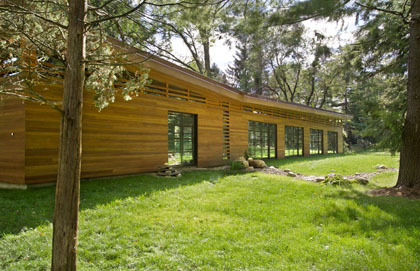 During the day, the siding and clerestory filter and frame the light as it moves through the building. At night, the clerestory begins to glow and the line of the roof appears suspended as the light filters out instead of in.